I went with my husband to have a coffee at the center of the city, The sun was shining in all its glory, and the the effect that it created in my photos was spectacular!... As much sun as I could go without my thick socks..
Hoy fue un dia maravilloso! con mucho solecito y calor! Fui con mi esposo a tomar un cafe, el sol brillaba en todo su esplendor y el efecto que creó en mis fotos fue espectacular..
Que guapa Juli! me gusta mucho la blazer! 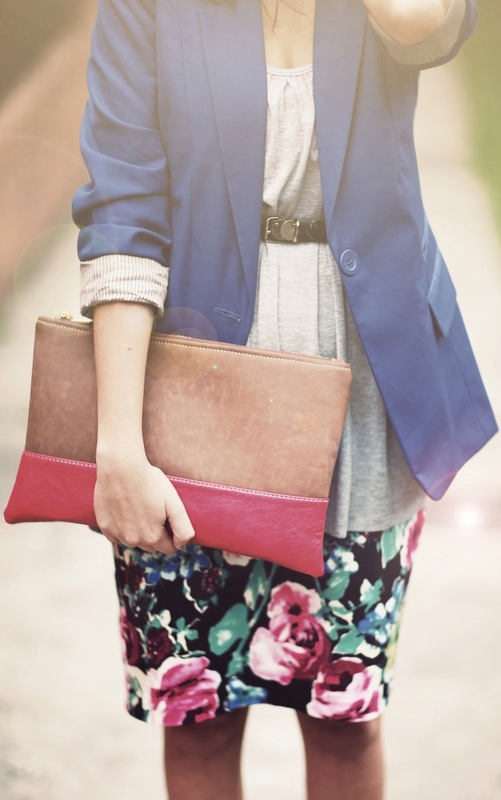 Very nice look, I love the blue blazer, so beautiful ! Tanks for your comment! Your pictures are beautiful!! Great look!! What amazing pictures you have! Estas guapísima! y menudas fotos más chulas. Nos ha encantado tu blog, si quieres puedes pasarte por el nuestro. Nos haría mucha ilusión :) Un beso!! Great outfit,your skirt is amazing! Thank you! I follow you via google yet. Love everything about this outfit! Esp the blue blazer and that clutch! topіc but І was wondering іf you knew where I сould find a cаptcha plugіn fοr my сomment form? problemѕ finding onе? Thanks а lot!